Anthony Alexander Diamonds has been known as the leading diamond jewelry store for the past 40 years. We are the only diamond broker in Northern Illinois that is open to the public, and our jewelry store provides diamond jewelry that is high quality and reasonably priced. Avoid the liability of buying online or from other jewelry stores when you can receive total disclosure at Anthony Alexander. If you want to visit our diamond jewelry store, then call to make an appointment and get a free consultation. Get diamonds from our jewelry store that will stand the test of time. Rockford, Illinois is a city in Winnebago County and is located on the banks of the Rock River. Currently, Rockford has an estimated population of 147,000 and is nicknamed “The Forest City” because of the various venues of historical and cultural significance. Anthony Alexander is a diamond jewelry store that can help people across the country find the perfect jewelry. Our team at our jewelry store is ready to help you find the jewelry that will bring precious memories. Anthony Alexander is a jewelry store that has the diamonds that you’re looking for! Anthony Alexander is a diamond jewelry store with one primary goal, and it’s to provide the public with a reliable diamond broker. Set up an appointment with our diamond jewelry store today and receive a free consultation. 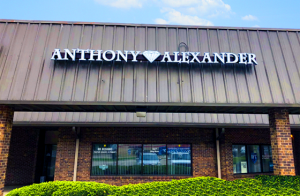 High-quality diamonds, sensible prices, and excellent customer service are what makes Anthony Alexander’s jewelry store stand apart from other jewelry stores. You can depend on the experts at our diamond jewelry store to help you find a stunning ring, necklace or bracelet. Contact Anthony Alexander Diamonds at (815) 580-8056 to set up an appointment. Avoid the Online Jewelry SCAMS! Find Jewelry on Pinterest or Instagram?